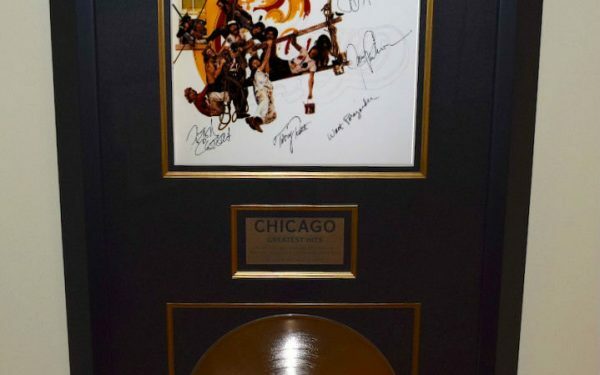 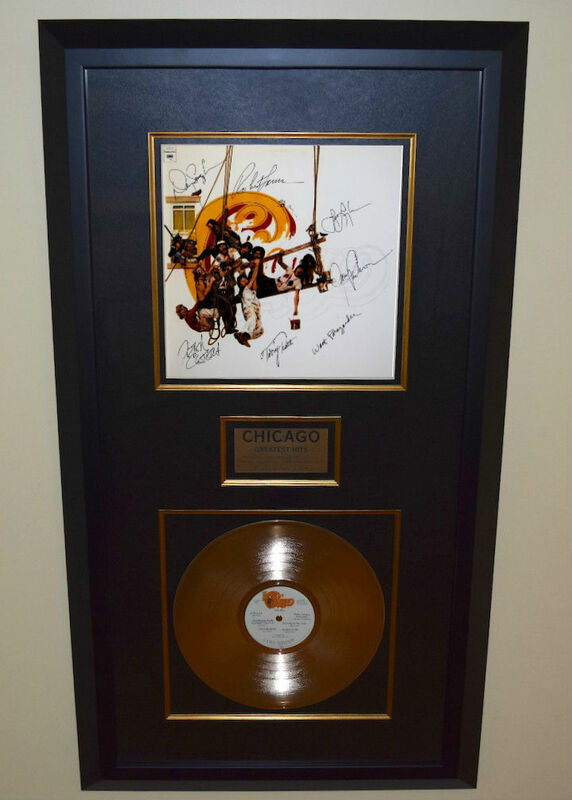 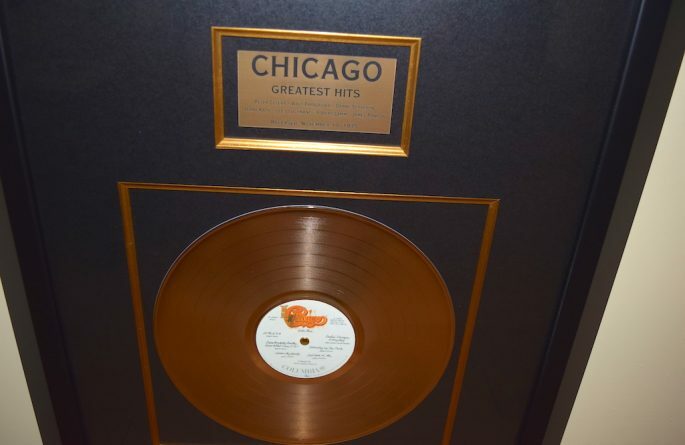 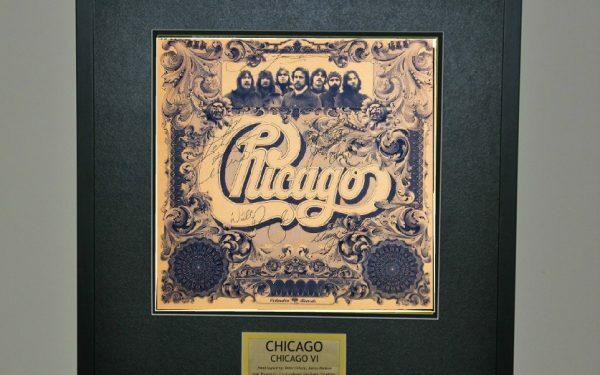 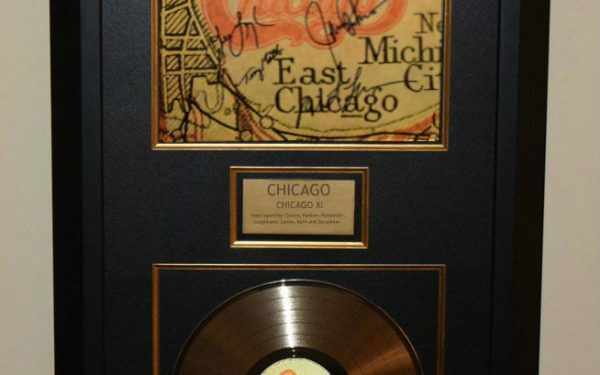 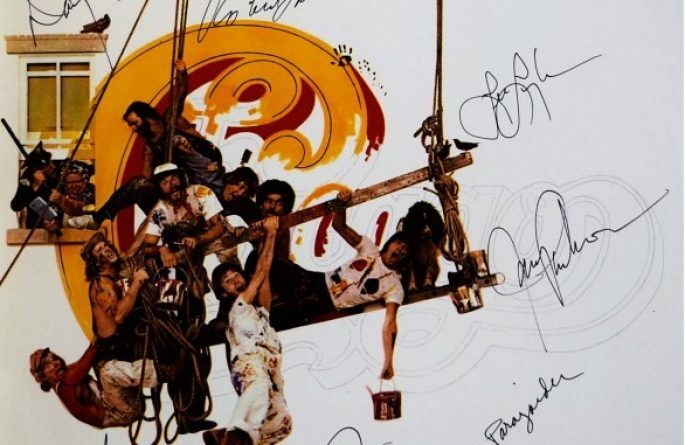 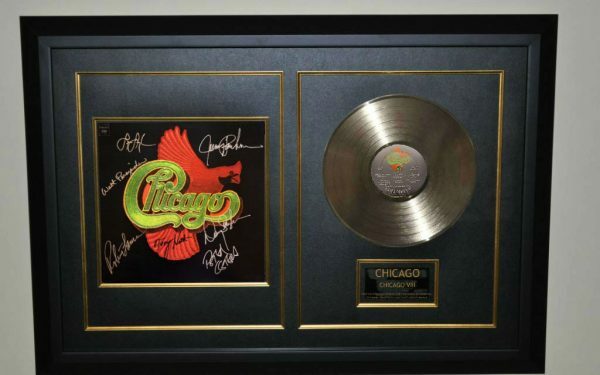 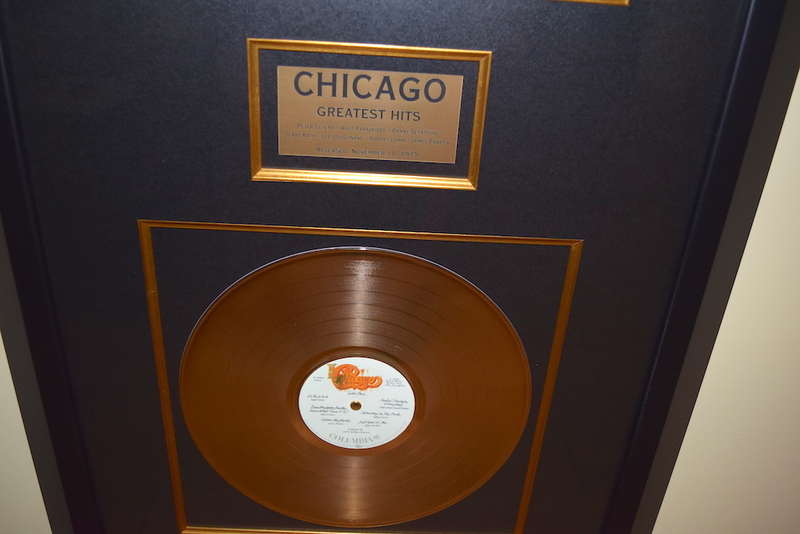 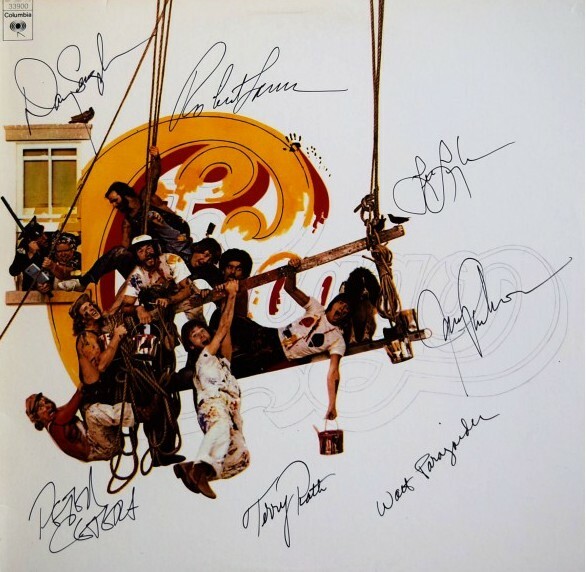 Hand signed by Peter Cetera, James Pankow, Lee Loughnane, Walt Parazaider, Danny Seraphine, Robert Lamm, and Terry Kath. 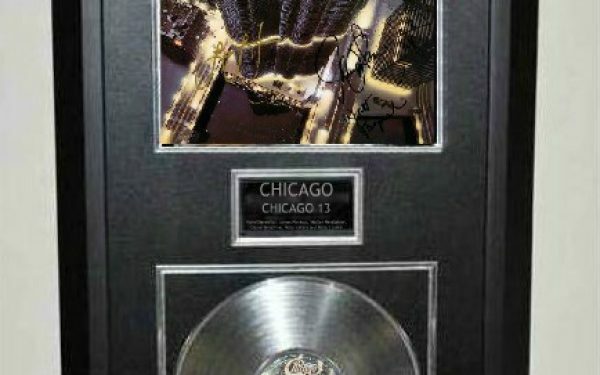 Custom Designed Vertical Award Style with Genuine RIAA Gold Award Album. 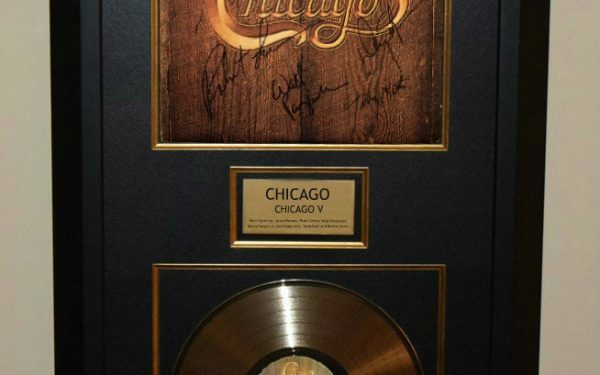 Measures: 24” x 44” x 2”.